Shake well before using. 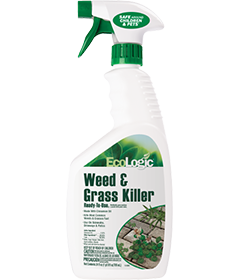 Spray liberally on entire plant when weeds and grasses are actively growing. For best results, apply in full sun above 60°F. Do not allow spray to drip, splash or drift onto desirable vegetation. Reapply if regrowth appears. 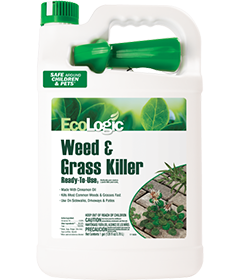 Spray unwanted weeds until completely covered. Have the product container with you when calling a Poison Control Center or doctor, or going for treatment. You may also contact 1-800-923-3623 for emergency medical treatment advice. Storage: Store in original container, in a cool, dry area inaccessible to children and pets. Protect from heat and freezing. Store between 40°F and 90°F. Keep container closed tightly to prevent evaporation. If spillage occurs, dilute with water and flush away. Container Disposal: If empty: Nonrefillable container. Do not reuse or refill this container. Place in trash or offer for recycling if available. If partly ﬁlled: Call your solid waste agency for disposal instructions. Never place unused product down any indoor or outdoor drain.